The International Monetary Fund’s (IMF) managing director, Christine Lagarde, discussed the strength of digital currencies to override the traditional currencies in the near future. As modern technologies are causing a great impact on the traditional financial network and the multinational banking industry. The head of IMF stated that economical technologies like cryptocurrencies are “shaking” the traditional banking system and must be administered to continue the firmness in the industry. The managing director of IMF, Christine Lagarde spoke with CNBC on Wednesday, she specified to the alteration business structures of commercial banks as proof that revolution such as virtual currencies is clearly having an influence on the financial industry. We don’t want innovation that would shake the system so much that we would lose the stability that is needed. They will have to be held accountable so that they can be fully trusted. As start-ups and other large tech firms are working on their own cryptocurrencies and blockchain technologies. Facebook is supposedly creating its own virtual currency and Apple announced their credit card in collaboration with Goldman Sachs previous month. Banks have come out with their ways to support new technologies such as cryptocurrencies and blockchain technology. JP Morgan is testing a virtual token known as “JPM Coin” that would immediately settle remittances among the consumers and Goldman Sachs is extending its virtual retail bank known as Marcus overseas. 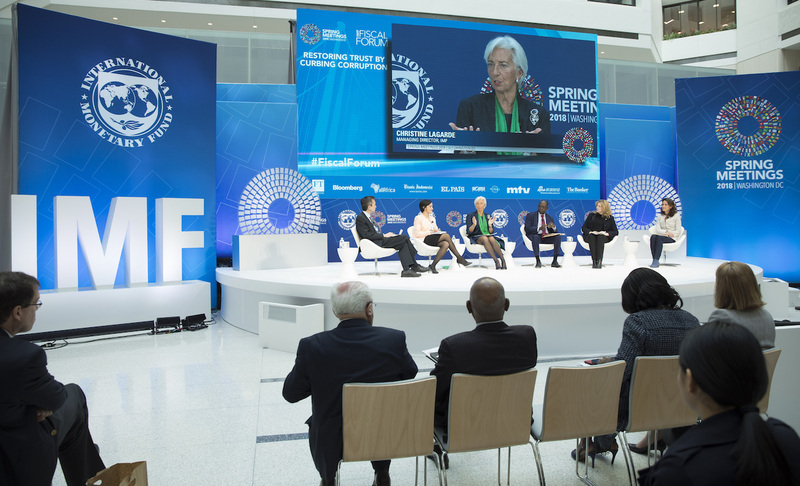 The comments made by IMF’s head Lagarde will succeed a committee discussion at the IMF Spring Meetings in Washington, U.S., analyzing how currency and remittances are altering around the globe. Earlier, she has embraced central banks in analyzing virtual currencies in order to maintain the watch over the economic changes in the market.